I have been a wedding minister in Los Angeles for many years and I have performed many civil wedding ceremonies and religious wedding ceremonies in many Hollywood Wedding Locations. Some have been at Beverly Garland’s Holiday Inn. A wonderful wedding ceremony and wedding reception site. The ceremony site includes a 3 opening waterfall. 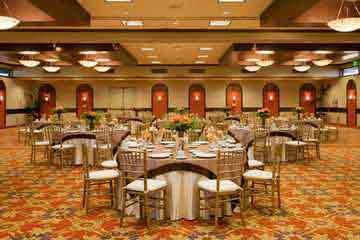 The grand ballroom can fill up to 600 wedding guests. If you are thinking of having your wedding ceremony or reception at Beverly Garland’s Holiday Inn or anywhere in Los Angeles County or Orange County California then consider having the Officiant Guy be your wedding officiant.